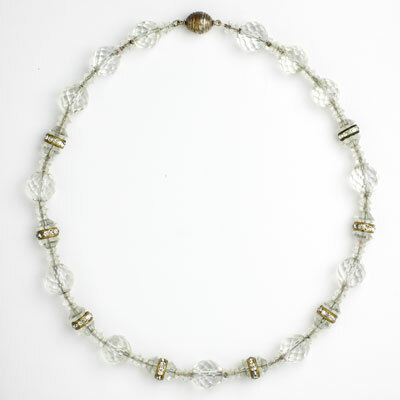 Faceted crystal beads are separated by cut crystal spacers and rhinestone rondelles in this lovely 1920s-1930s French Art Deco necklace. 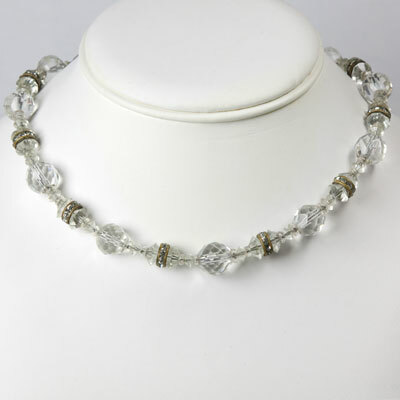 The rondelles add to the sparkle and elegance of this piece. 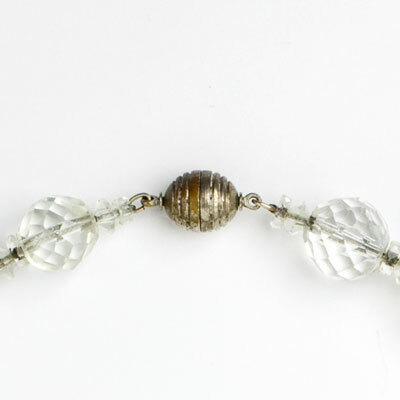 The beads are strung on wire with a bee hive screw-barrel clasp. 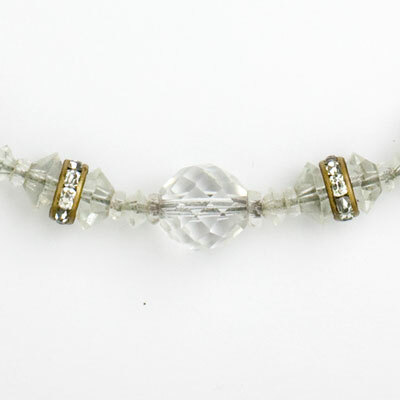 This necklace, which was in my personal collection, looks lovely with my crystal bead Art Deco earrings — scroll down to see them. Or wear your own real or faux diamond stud earrings to complete the look.